I copied the contents below. Search engines want to populate the results with quality content written by experts as acknowledged by other Internet users. Documents with links from websites that have lots of links and documents with links from websites that have high quality links get rewarded. It is no wonder that when you ask a search engine reps how to build links they will tell you to publish high quality, link worthy content. Are you responsible for a global 2000 company or international celebrity website? 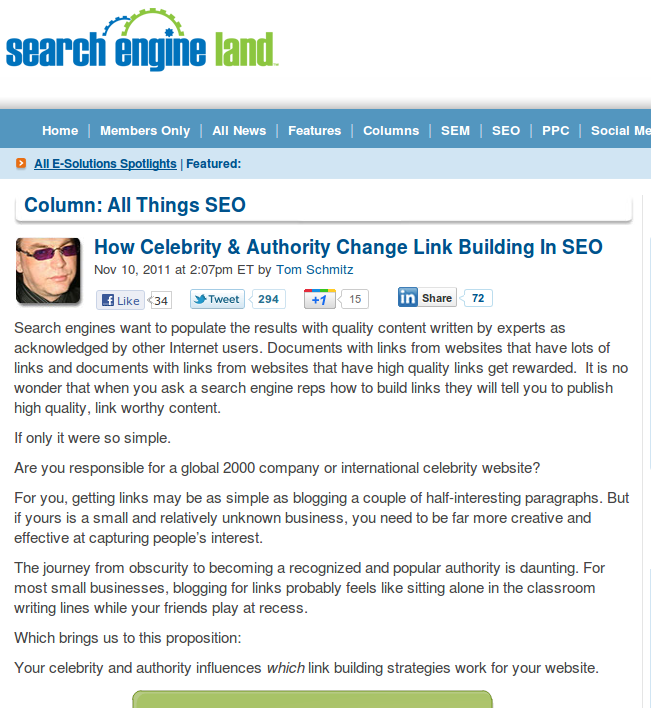 For you, getting links may be as simple as blogging a couple of half-interesting paragraphs. But if yours is a small and relatively unknown business, you need to be far more creative and effective at capturing people’s interest. The journey from obscurity to becoming a recognized and popular authority is daunting. For most small businesses, blogging for links probably feels like sitting alone in the classroom writing lines while your friends play at recess. 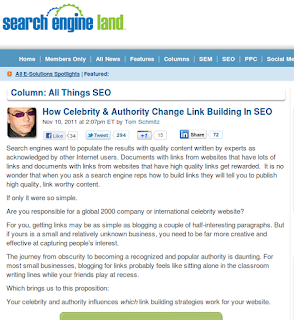 Your celebrity and authority influences which link building strategies work for your website.